WELCOME TO THE REGISTRATION SITE OF THE 2019 GULF COAST ELDER ABUSE CONFERENCE & FINANCIAL EXPLOITATION CONCLAVE! 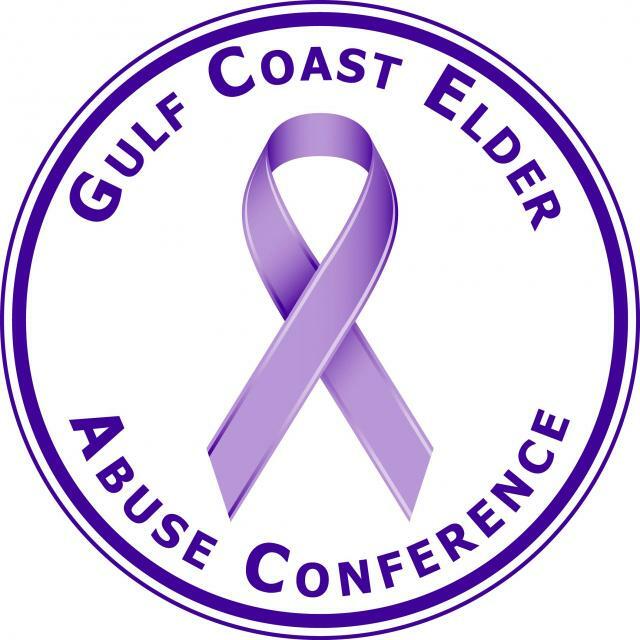 Welcome to the online registration site for the 2019 Gulf Coast Elder Abuse Conference & Financial Exploitation Conclave! We are pleased to have you attend this vital educational experience. This year the conference has been expanded to include the Financial Exploitation Conclave on June 26th. This means there are three days of training available: 24 class hours on June 24 & June 25, and 10 class hours on June 26. Each day you will be able to attend six hours of training, so the opportunity to learn is better than ever before. We have also added the Vanguard Award Banquet on Tuesday evening. This new event will include the keynote for the Financial Exploitation Conclave that follows on Wednesday, but will, most significantly, recognize four leaders in the continuing struggle to prevent Elder Abuse. Conference attendees can get banquet tickets for 50% off, so look for your opportunity to purchase your ticket during the registration process. You will be able to bypass banquet ticket purchase during registration and return later to purchase your ticket, if that is more convenient for you. On Monday the welcome session at 8:00 AM will greet you and provide information about the conference. The first two days you will have your choice of four classes each of the six hours of the day. Some classes will be offered on both days to offer a greater chance to get the information on topics that have great demand. Each day is designated as a "SESSION," i.e., Session 1 (Monday, June 24th), Session 2 (Tuesday, June 25th) and Session 3 (Wednesday, June 26th). You many register for any single day, any two days, or all three days. To simplify this registration process it is very important that you see or download the class list for each day of the conference. This will facilitate the online process. The list can be downloaded from the conference web site WWW.ELDERABUSECONFERENCE.ORG/REGISTER. As you register, if you select a class that is filled, be sure to request to be put on the wait list for that class. That way you will be notified (in order of wait listing) if a space in the class becomes available. BE SURE TO ENTER YOUR NAME THE WAY YOU WANT IT ON YOUR BADGE AND ANY CERTIFICATES THAT MAY BE ISSUED; IF YOU ENTER THE INFORMATION IN ALL LOWER CASE LETTERS, THAT IS HOW YOUR BADGE AND YOUR CERTIFICATE WILL LIST YOUR NAME. You may change your selections after registering however the registration site will close at midnight on June 15th and will not re-open until June 24th (the first day of the conference). Be sure to complete your changes by June 15th. The conference center doors will open for sign-in and on-site registration at 7:00 AM each morning. The Welcome session on Monday will start at 8:00 AM followed by the first class starting at 9:00 AM. Tuesday morning the first class starts promptly at 8:15 AM. Wednesday the Financial Exploitation Conclave Welcome session will start at 8:00 AM, with the morning plenary session starting promptly at 8:30 AM. Arrive early, get your morning coffee from PJ's Coffee inside the Harbor Center and get your day organized for this excellent learning opportunity. Access from Interstate Highway 10 (I-10) is at Exit 261 from either New Orleans or Slidell. Follow the signs to the Harbor Center.